Years have passed since the legions of hell have set foot in this world,but now a new demonic invasion has begun, and humanity's last hope will rest in the hands of three lone demon hunters, each offering a radically different playstyle. United by fate and a thirst for vengeance, these demon hunters will have to face their demons if they hope to survive. Legendary action series returns  The 16 million unitselling series is back with original Director Hideaki Itsuno at the helm of development. A battle of good and evil  A demonic invasion begins with the seeds of a "demon tree" taking root in Red Grave City. Thishellish incursion attracts the attention of the young demon hunter, Nero, anally of Dante who now finds himself without his demonic arm, the source of much of his power. The supernatural family drama also continues as Dante, the Son of Sparda, seeks revenge for his brother's corruption and mother's murder. High octane stylized action  Featuring three playable characters each with a radically different stylish combat play style as they take on the city overrun with demons. Groundbreaking graphics  Developed with Capcom's in-house proprietary RE engine, the series continues to achieve new heights infidelity with graphics that utilize photorealistic character designs and stunning lighting and environmental effects. Take down the demonic invasion  Battle against epic bosses in adrenaline fueled fights across the over-run Red Grave City. 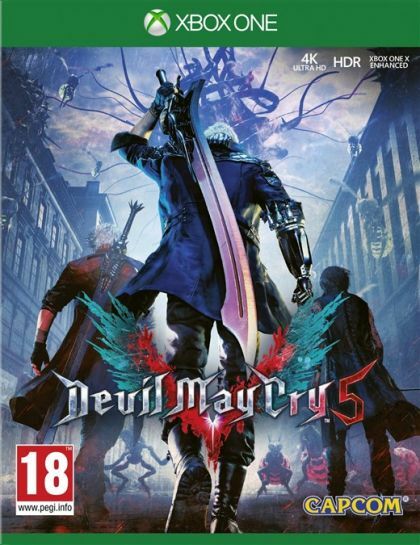 Demon hunter - Nero, one of the series main protagonists and a young demon hunter who has the blood of Sparda, heads to RedGrave City to face the hellish onslaught of demons, with weapons craftswoman and new partner-in-crime, Nico.